Alive In The Morning Films has been established to develop, produce and finance a slate of feature films that will cater, and appeal, to a core market of global audiences who enjoy films in the horror and thriller/horror genres. Alive In The Morning Films is seeking to raise an initial £150,000 The Company subsequently will seek to raise up to a further £3.35 million EIS in the 12 month (initial) period. The focus of the Fund is to invest in UK based early-stage companies that seek to lead the market in provision of innovative product design and manufacturing. The Fund seeks to invest at least £100,000 in each Investee Company in return for circa 15% to 30% equity, across at least five companies. 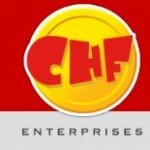 The CHF Media Fund offers an opportunity for UK Tax Payers to invest in both SEIS and EIS qualifying Family Entertainment companies, whilst also benefitting from risk mitigation in the form of S/EIS reliefs and Government backed animation Tax Credits. The Fund invests in companies which individually own the intellectual property rights to a family entertainment TV show or family entertainment concept. The Deepbridge Innovation SEIS offers investors an opportunity to secure potentially attractive returns by investing in a diversified portfolio of seed-stage innovation companies. 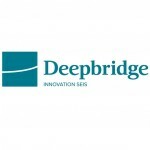 The Deepbridge Innovation SEIS will invest in a diversified portfolio of a minimum of five investee companies, each of which will focus upon the development and/or application of technological innovation to address an identifiable market demand or consumer need. The Deepbridge Life Sciences SEIS is an opportunity to secure potentially attractive returns by investing in a diversified portfolio of early-stage life science companies, whilst taking advantage of the considerable income tax, capital gains tax, and inheritance tax benefits available under the Seed Enterprise Investment Scheme. 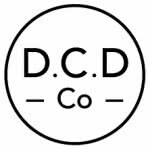 Hutch & Alex Wright established Dorset County Distilling Co's concept in 2015 and over years have carried out research, distillers courses, and more to fine-tune the concept. Located on a farm nestled in a picturesque North Dorset valley, the distillery will use German technology, be environmentally responsible & source suppliers locally to produce premium brands of unique flavoured Dorset malt and rye whisky, gin, rum, vodka and eau de vies. 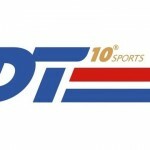 DT10 Sports is a Brand owned by GB Health and Nutrition Ltd that was setup in 2016 to make health more fun and engaging by creating food and drink products specifically for the Sports Fitness, recreation and Exercise Market. EMVC Evergreen EIS Fund is an EIS fund that will specialise in B2B technology including industrial high-tech, energy, robotics and AI, IoT and resource efficiency. Go fuel meals Ltd is an online store for providing healthy ready meals to customers all over UK. The main customers are people from the fitness industry, corporate people and general people who lead a healthy life style. Customers order meals which are then delivered directly to their door. The company’s mission statement is to fuel people on the go with healthy meals as opposed to unhealthy ready meals that are sold in the leading supermarkets. The fund will seek to invest in high-growth companies operating in the creative industries that have experienced entrepreneurial management teams, the potential to address large, new markets or disrupt existing ones and the ability to generate returns for investors that are multiples of their invested capital. 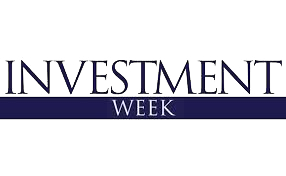 A discretionary EIS & SEIS investment management service leveraging the experience and expertise of our investment team to select a diversified portfolio of the most promising companies that have passed through the GrowthInvest due diligence process. It is noted that both GrowthInvest and Sapphire Capital Partners LLP have a material interest in this fund. Ingenious Infrastructure Ventures EIS aims to deliver value to investors by investing in early stage and growth capital stage companies throughout the infrastructure and related services sector across the UK and other OECD countries. International Ambulances Limited was formed in October 2016 by Phil Bevan to commercialise his revolutionary new ambulance design, the “ACESO”. 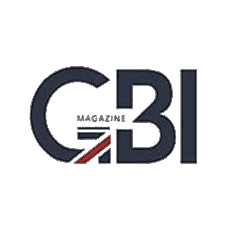 Bevan Davidson International (“BDI”), a technology design and development company led by Phil, has been engaged on behalf of the Company to develop a concept prototype using the extensive experience they have gained in vehicle concept design and development. Jenson SEIS & EIS Fund is a managed portfolio designed to provide increased diversification as a portfolio investment. The balance between capital growth, portfolio risk and time horizon will aim to be maximised, whilst enhancing the tax advantages available. This offering can allow investors to choose whether they want to invest solely via SEIS or EIS or to split their funds across SEIS and EIS investments. Krzana is a cloud based real-time search engine that surfaces actionable breaking information and is able to intelligently search over 60,000 sources (Including Twitter, Reddit, The FT, Zero Hedge, RSS feeds, Blogs and more). This combines advanced algorithmic processing with human insights. The Mariana Growth EIS Fund offers investors the opportunity to invest in a portfolio of EIS qualifying companies across multiple sectors; favouring companies with a disruptive business model or cuttingedge technologies that will allow them to challenge the incumbents within their sectors. The Mercia EIS Fund aims to triple invested capital within five to seven years, including tax reliefs, by investing in a well-diversified, early-stage, multi-sector technology fund. In order to achieve this, they expect one third of companies to fail, and one third to achieve over 3x. The Mercia EIS Fund's investments are focused on the under-served geographical regions of the UK, investing in sectors in which they have deep expertise. The Fund seeks to leverage Newable's unique corporate infrastructure to invest in knowledge intensive companies at the scale up growth stage. The Fund will target the funding gap that exists for companies which have de-risked their technology, developed traction with customers and now seek funding to scale their commercial operations. Oxford Technology has been investing in technology start-ups since 1983. The Oxford Technology EIS Fund will aim to provide each investor a diversified portfolio of 5 - 10 EIS Investments in high risk, but high potential early-stage technology companies near Oxford. Pembroke VCT plc is a venture capital trust that provides investors with access to a private equity style investment strategy with significant tax benefits. As part of the Oakley Capital group of companies, Pembroke are committed to helping management teams realise their vision, utilising their extensive network and experience. 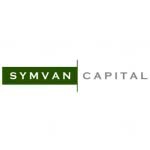 The Symvan Technology EIS Fund has been established to enable investors to invest in technology companies with high growth potential. 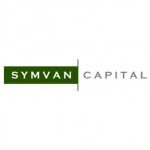 Symvan Capital Limited considers that companies in the technology sector that have high growth potential and which also qualify for EIS tax reliefs which fit with the Fund’s focused investment criteria have the potential to offer investors an attractive return. The fund offers the opportunity to invest with the benefits of SEIS Reliefs and CGT Reliefs in a number of small businesses in different businesses across the technology and media sectors. Investee Companies will have high growth potential to fit with the Fund’s focussed investment criteria have the potential to offer investors very robust returns. 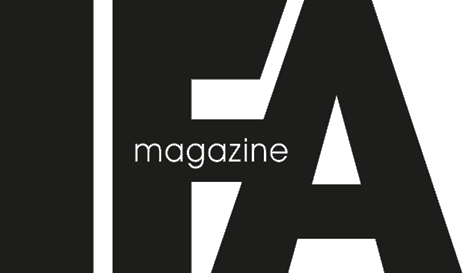 Atlantic Screen Media EIS Fund is a discretionary managed portfolio service that uses the team’s experience to provide Investors with the opportunity to invest in the Intellectual property of a broad range of media companies. Initially, the new fund will look to invest in a comic book company, a TV series development company, as well as in Atlantic Screen Group's own existing film and television music score business. The Boundary Capital AngelPlus EIS Investment Fund represents an opportunity to invest in UK based, high growth technology companies alongside an experienced team of entrepreneurs and investment professionals. Boundary Capital believes that fund investors will benefit from a diversified, unique portfolio of opportunity, EIS tax reliefs and an advanced co-investment strategy. 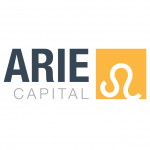 The Boundary Capital AngelPlus SEIS Investment Fund represents an opportunity to invest in UK based, high growth technology companies alongside an experienced team of entrepreneurs and investment professionals. 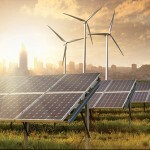 Boundary Capital believes that fund investors will benefit from a diversified, unique portfolio of opportunity; SEIS tax reliefs and an advanced co-investment strategy. The Boxing Advantage Company Limited operates in the boxing arena and offers a pioneering concept. The Company will represent boxers across weight-classes by scouting, training and mentoring and developing the best young talent it can find and promote its boxers to maximise sponsorship and advertising revenues. The Unicorn AIM VCT is one of the largest and best performing AIM-focused VCTs in the market with current net assets of c. £165 million. By virtue of its substantial size, investors in Unicorn AIM VCT are able to access an established, diverse and strongly performing portfolio of investments. The dynamics of the technology market have been transformed over the past decade. The advent of the digital economy has given innovative start-ups the ability to disrupt the way well-established industries operate, with the potential to rapidly undermine entrenched businesses and quickly achieve remarkable valuations. It is a time of opportunity for innovative companies with the products and ideas to challenge the way traditional businesses operate. Velocity Capital Advisors aims to exploit this opportunity, appraising potential investments not just for the traditional business qualities of strong management, robust operations and risk management, but also for dynamic attributes that flourish in the digital economy and technology environment, namely: innovation, scalability, agility and speed to market. will present to the Investment Manager opportunities to invest in start–up and early stage businesses that exhibit these characteristics. 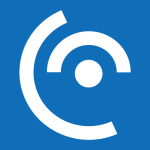 Veloscient is clinical notes for mobiles. It liberates hours each day, unlocking a $60 billion market with a mobile App that eliminates keyboards. Its UI breakthrough allows the capture of narrative and logic to configure the mobile App - what takes many minutes of typing can be compiled in seconds using any device’s touch screen. The captured narratives can be shared and optimized to transform care. With freemium pricing adoption is easy.